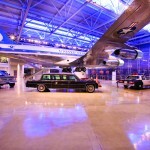 The Reagan Library features many world-class traveling exhibits. 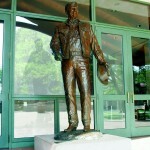 Check the Library’s website or call to see which exhibits may be open for touring during your visit. Just in time for pre-season, Football! The Exhibition opened on June 6. Running through January 2016, Football is a 5,000-square-foot exhibition featuring more than 600 artifacts, including some of the rarest historic and iconic football memorabilia in the country. The exhibit displays remarkable artifacts from the legends of the game, as well as sections on the LA Rams, USC and UCLA, and scores of other historically important players and organizations. In partnership with Gary Cypres and the Sports Museum of Los Angeles, the exhibit also features rare artifacts related to Ronald Reagan and football—from his days playing high school and college football, to memorabilia from his role of George Gipp in Knute Rockne: All American, to signed balls and jerseys he received while president, to his honorary Heisman Trophy—the first and only person to ever receive one. The exhibition showcases the glory days of football—from the first balls, helmets and jerseys ever used, to iconic pieces of football history, such as the prototype for the Heisman Trophy, signed Lombardi Trophies by Super Bowl MVP recipients and dozens of game-worn jerseys by the sport’s best. 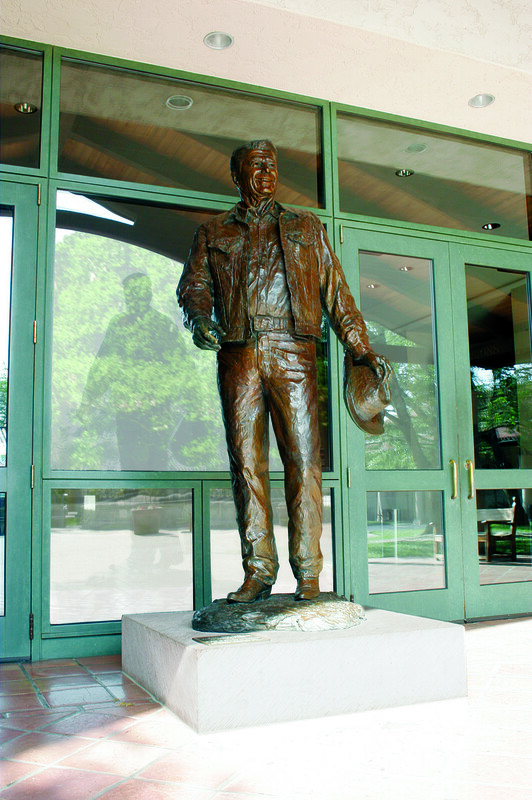 he American Presidency comes alive at the Ronald Reagan Presidential Library and Museum in Simi Valley, where 18 galleries and dozens of interactive displays wait to entertain, educate and excite visitors. Open since 1991 and wholly renovated in 2011, the galleries bring history to life. 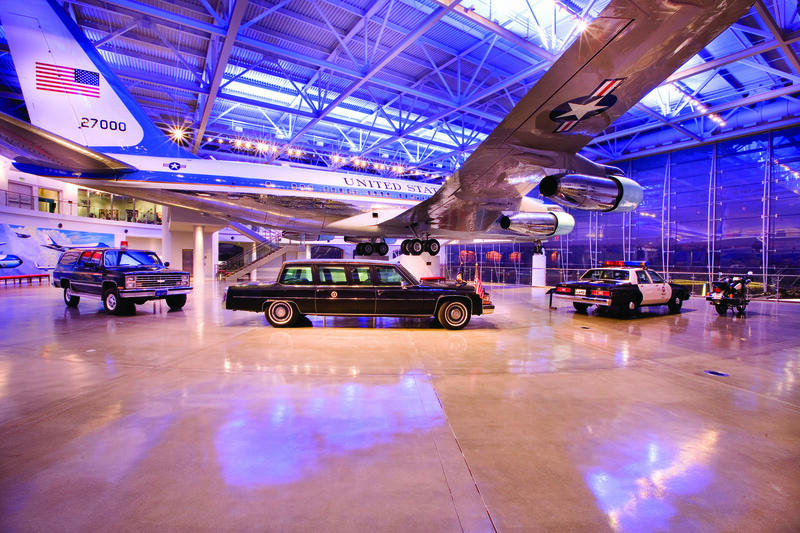 Where else in California can visitors walk on board an actual Air Force One aircraft that flew seven U.S. presidents, touch an authentic piece of the Berlin Wall or lay a hand on a real steel beam recovered from the World Trade Center after 9-11? 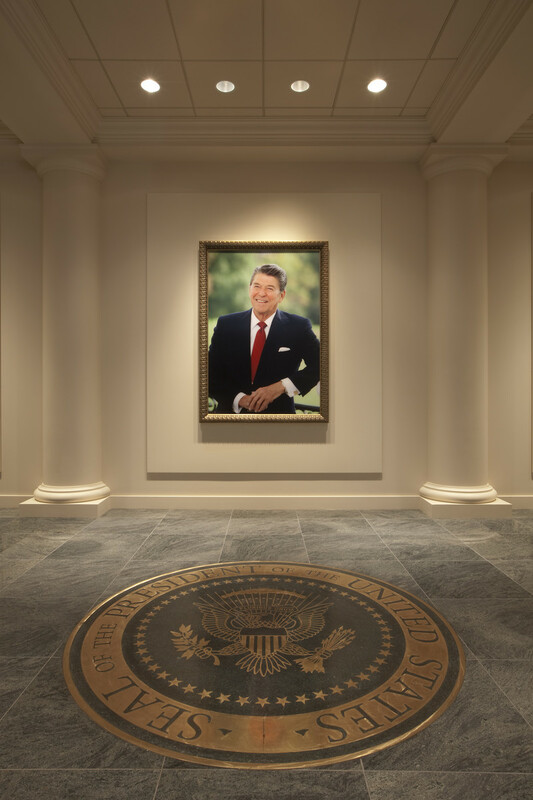 Visitors will learn about the history of the American Presidency by immersing themselves in Ronald Reagan’s journey to the White House. Starting back in his days as a sports radio announcer to his years as a Warner Brothers movie actor and then the host of GE Theater, visitors step into his shoes via Green Screen technology and call a Cubs game, introduce a GE Theater and even act in a movie! 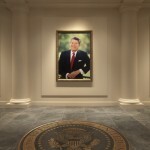 Follow President Reagan to the White House and deliver the Presidential Inauguration through the use of a teleprompter. Travel the world on diplomatic missions aboard Air Force One. Explore the White House Oval Office and the East Wing. 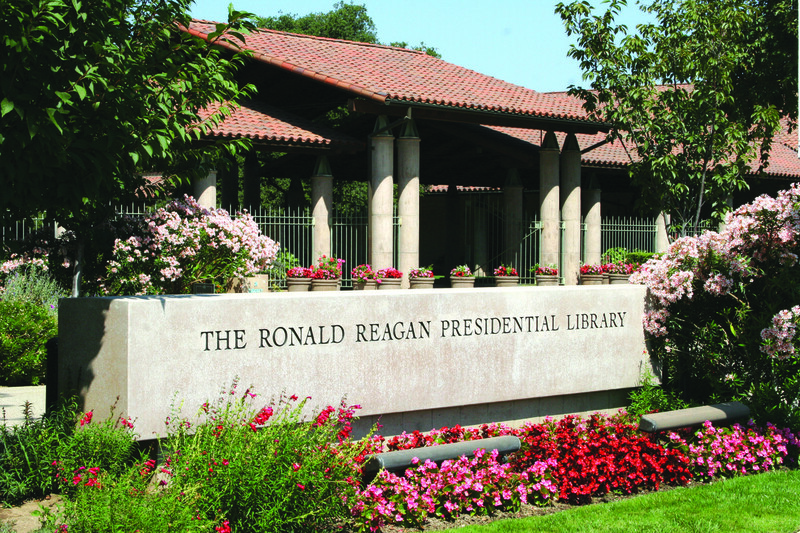 Museum guests will also enjoy the Library’s outdoor grounds, where they can stroll through a replica of the White House Rose Garden or West Lawn. Numerous picnic benches across the property encourage patrons to eat outside and enjoy the gorgeous vistas. 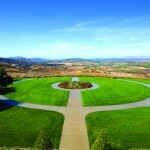 For those opting to eat indoors, the Reagan Library boasts two restaurants, Reagan’s Country Café and The Ronald Reagan Pub. Group tours are encouraged to call ahead and reserve seating. 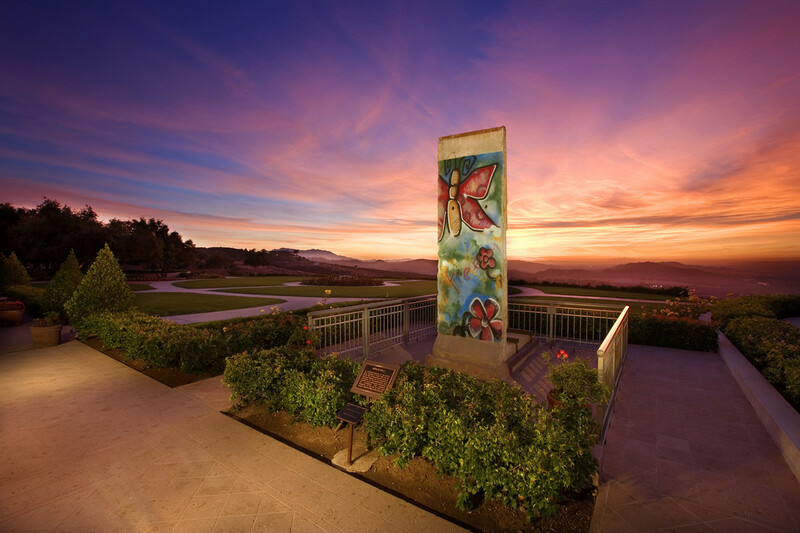 From Air Force One to historic photos and video to interactive games to exquisite landscaped grounds, the Reagan Library is truly one of the most unique and beautiful travel destinations in Southern California. 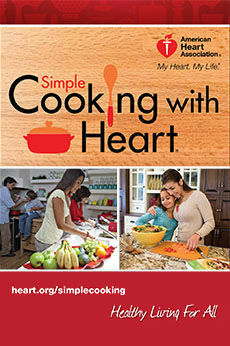 The Library is sure to be a fun, entertaining and educational experience for everyone, of every age, in your group. 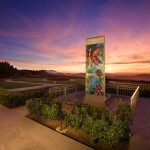 Open seven days a week, the Reagan Library is only closed on Thanksgiving, Christmas and New Year’s Day. 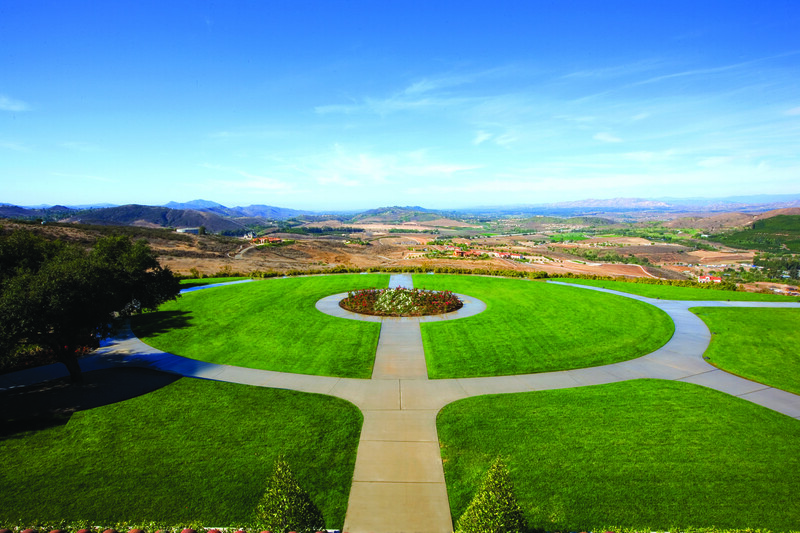 With more than 100,000 square feet of exhibit space to explore, visitors should plan at least a half-day to visit the Reagan Library. The Library is wheelchair accessible, and audio wands (in English, Spanish and hearing impaired) are available for a separate charge. 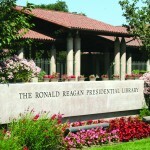 For a complete list of admission pricing and exhibits, please visit ReaganLibrary.com.